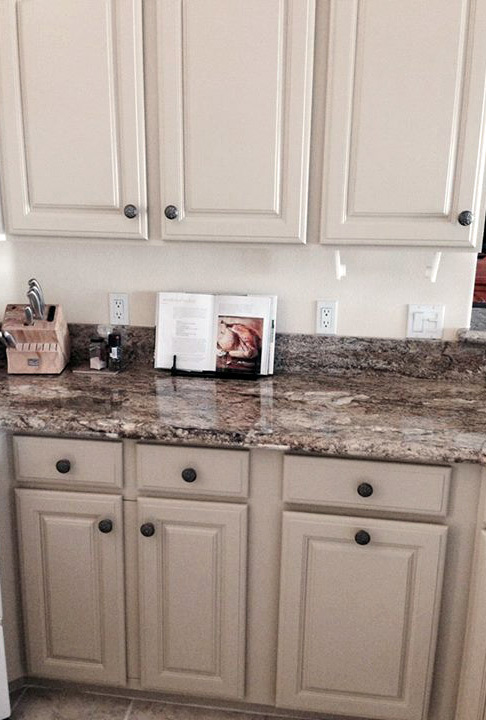 La Tea Da's﻿ shared this beautiful kitchen cabinet makeover. I have the most talented customers -- really, I do! Sherry Barker recently refinished her kitchen cabinets using General Finishes Milk Paint in Millstone. They go great with her granite and are all-around fab! Visit La Tea Da's at 1595 Mohave Dr # 7 Bullhead City, Arizona to purchase GF products and get started on your own project.